Cova Software is the little-known company behind a unique cannabis POS system in Canada. You might think that POS or “point of sales” software are everywhere these days – what’s the big deal? Selling cannabis is not the same as selling other products, though. “We carefully designed our product to align with the nuances of cannabis laws and regulations,” said Cova CEO Gary Cohen. 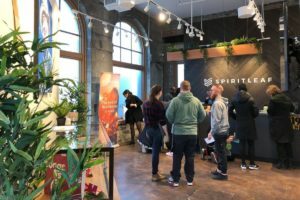 Last week, Ontario cannabis retail stores opened. Cova is the cannabis POS system for at least 20 of the 25 stores who won the Ontario cannabis retail lottery. Cova was founded in Regina but is now headquartered in Denver with Canadian headquarters in Vancouver. Outside of Canada, the Cova cannabis POS system is running in California, Oklahoma, Washington, and Colorado.